Texas court affirms no bad faith occurred in the denial of a claim due to contract terms. After purchasing a building in 1994, a Houston man known as Davis, found himself in a horrible bind after realizing that his roof had sustained damages from natural causes. When Davis originally purchased the building, he knew that the roof was composed of asphalt and a rubber material, but he didn’t know the exact age of the roof nor did he find a need to replace it. 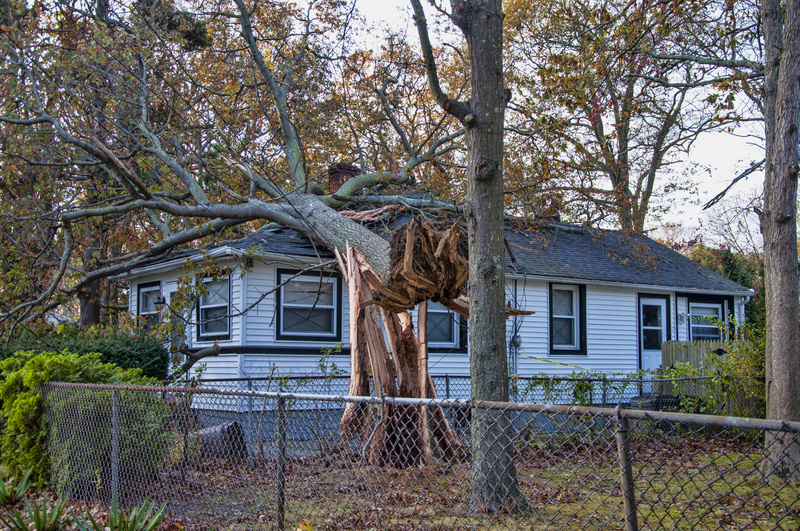 Naturally, Davis purchased an insurance policy to ensure the coverage of any future damages. Davis was running his business from the building, and living there as well, which further cemented his need for insurance on the property. National Lloyds Insurance Company (Lloyds) insured his property against wind, fire, and hail. Unfortunately, Davis’ policy did not cover rain damages “unless the building or structure first sustains wind or hail damage to its roof or walls through which the rain [can enter]”. The policy also stated that it would “determine the value of the covered property in the event of loss or damage … [at] actual cash value as of the time of loss or damage”. Optional coverages were offered, including replacement cost value coverage that Davis declined. The policy had a $3,700 deductible for building damage and a $2,500 deductible for damages to the building’s contents. Houston was struck by Hurricane Rita in 2005 and many individuals suffered property damage – including Davis. He immediately noticed roof leaks right after the storm and decided to file a claim, which was unfortunately denied. Davis had no other choice, but to use out of pocket money to hire a contractor to repair the building to its original state. The work performed put a pause on the leakage, until 2008, when Houston underwent another natural catastrophe – Hurricane Ike. The roof once again began to leak and the property underwent other damages to a shingled area and an AC unit. Again, a Lloyds adjuster inspected the damages, but only valued them at $1,825, ensuring no payment was to be made to Davis. 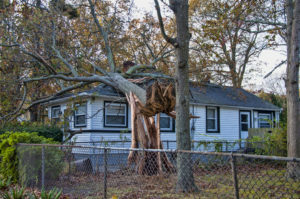 Luckily, a public adjuster made an additional inspection, and this time, asserted that the property had incurred damages directly caused by Hurricane Ike and that they were above Davis’s $3,700 deductible. Davis ultimately filed a lawsuit and alleged a breach of contract, violation of the Texas insurance code, and breach of good faith and fair dealing. When both parties were at trial, plenty of disagreements arose in regards to what evidence showed was the cause of the roof leakage. Lloyds’ experts concluded that the roof was old and had previously shown a leakage issue in 1997. Both parties also disagreed on the cost of repairs. Experts who represented Davis asserted that $108,038.75 was owed in repair cost, while Lloyds’ experts argued that the price was inaccurate and did not differentiate between covered damages from non-covered damages. The jury ultimately decided actual cash value damages of $0, replacement damages of $100,000, damages attempting to repair the property of $17,200, damages for insurance bad faith of $150,000 and attorney fees of $75,000. Lamentably, the court concluded that Davis’ policy only covered cash value, which the jury determined was below the deductible. Although it was a fact that the condition of the roof was defective and needed to be replaced, Davis’ policy only covered damages done by hail and wind. The trial court also concluded that the insurer could not be liable for bad faith since no payment was liable under the terms of the insurance contract. Contractual language purposely used to confuse policyholders and bad faith insurance tactics can mean becoming a victim of bad faith insurance acts. Let the legal team of Millin & Millin break this unethical cycle by putting an end to the unfair treatment you may be receiving. Are you struggling to receive your fair share of compensation? Is your insurance company claiming your policy didn’t cover damages by arguing about unclear language? The tough team of attorneys at Millin & Millin have fought for the rights of a multitude of individuals. Call us today for a free case evaluation at (956) 631-5600.